Is the Smart Watch Good or Bad for Distracted Driving? Smart watches are widely projected to be the Next Big Thing. Just about every tech company is working on releasing (or has already introduced) their slant on this particular gadget. Though we will have to wait to see whether the device will actually take off, we can be certain that there will at least be a certain portion of the population who use a smart watch in their daily life for the next few years. More importantly, whether or not you actually have one, it is possible that the smart watch will have a significant effect on each of us–through how it affects distracted driving. But what sort of an effect will the smart watch actually have on driver safety? 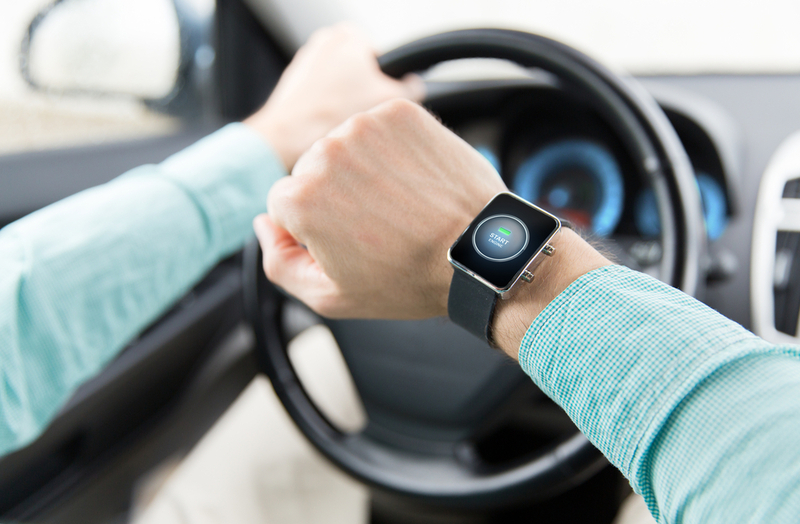 Since there is no similar device previously on the market, most states’ distracted driving laws have yet to be adjusted to cover it, and in fact, many are unclear on whether smart watches should be allowed or not while driving. No doubt a decision will be made eventually, but until then, let’s examine the advantages and disadvantages of a smart watch for distracted driving. First of all, there are some positives that come from using a smart watch, as opposed to a regular phone. For one thing, users will no longer have to pick up their phone, which is the number one cause of distracted driving today. And since it is strapped to the wrist, it also limits the times that users will have to remove their hands from the wheel. If voice activation is implemented in smart watches eventually, they will be completely hands free. However, despite these positives, it is clear that a smart watch is still a tool for distracted driving. The National Highway Traffic Safety Administration categorizes distracted driving into three groups: manual, visual, and cognitive. The first of these is the only one that involves taking your hands off of the steering wheel. The second and third are when you take your eyes off the road, and your mind off of the road, respectively. Voice recognition or no, it will be impossible to use a smart watch without doing either of these things. Furthermore, if a driver receives a notification through their smart watch that indicates they have a new phone message, they are perhaps more likely to be tempted to look at their phone–especially as recent studies show that many people are literally addicted to checking their phones while driving. While smart watches are a great innovation, and one that many people are excited to own, it is important to remember that distracted driving in any form is dangerous, and to refrain from using it while on the road. We already have too many deaths as a result of distracted driving, so let’s not add any more.